any feedback would be great guys. Thanks! I dont have this one, but I have the silverstar ultra and doesn't put out any additional heat or kill the battery. It makes the road glow so its gotta put out the most "heat" out of all of them. Dunno...just a thought. Might be to late but dont get the bulbs in the link, there have less light output then factory and are not much of a colour change. 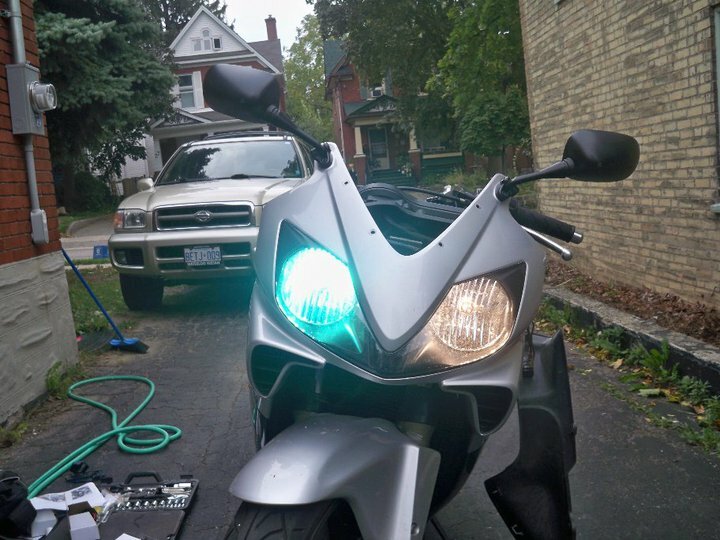 The blue on the bulbs just takes away certain spectrums of light to give a more whitish look, The will not be blue. 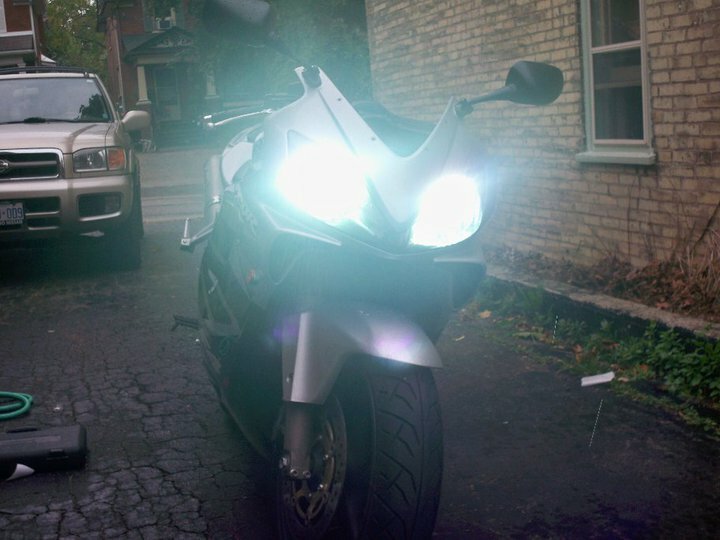 Go to ddmtuning.com and get HID probably 8000k. 3x the light output and noy much more money and they are true blue. Why blue? Your eyes are most sensitive to light with the colour of the sun, around 5000k. With two bulbs both putting out 2000 lumens, one at 5k and one at 10k, the 5k one will allow you to see better. Check out Daniel Stern's website. I think the best value in H4 bulbs are the Narva RangePower +50 or the Osram Rallye +50 bulbs. These put out 50% more lumens than the average bulb while consuming roughly the same 55w power. They don't filter out and block light in order to arrive at the "blue" colour. Last edited by dannoxyz; 05-21-2011 at 04:48 AM. I would much rather have HID's for cheaper then those bulbs though. Note that coating a bulb with anything will reduce the light-output. That's because you're filtering out and blocking red and green colours out in order to make the light look blue. It's not the same as pure output that has a purple overtone-tint like HID. The PIAA bulbs have the lowest light-output for the shortest lifespan. If you're going to be spending that kind of money every 5-6 months on bulbs, you might as well get HID projectors. Last edited by dannoxyz; 05-22-2011 at 05:35 PM.